Right from the beginning I was hooked into this book and the story. I just totally loved Annika and her background story. In college she was not very socially adept, missed cues, spoke her mind, hated loud noise and wasn’t keen on being touched. But… what a heart and gorgeous person. I also fell for her room mate Janine who was kind enough to reach out in genuine friendship and help Annika to find her way through the world that mystified her. In college she meets Jonathan and he is everything you’d like in a male. We find out that something separated them and now as they meet ten years later and begin to find their way with each other, we are led on, wondering what on earth went wrong between this wonderful pair. The story is told in two time lines, college days and 2001. They fit together seamlessly and as I read, the question I held about what went wrong was answered. And no more about the plot – its best discovered as you read. This book was a fast read, I picked it up every moment possible. It was emotional – heart warming and heart breaking. If you love unforgettable characters, a little mystery, and an emotional read with an intense ending – pick this one up. I hated it had to finish! On Saturday I went to a 6 year old party for my grand niece. And what do you take for a gift when you are a booklover and so is she!! Well books of course and not just one. I had a great time picking them off the shelf at the bookstore. I read The Little Teashop on Main – a review book, Love Letters is a continuing series and I have to say this one wrapped me round its little finger, and I finished listening to the delightful Mariah Stewart The Goodbye Cafe – so well narrated it put it into the 5 star category for me. I have just started listening to this. I read it when it published in 2017 and now doing a reread via audio. I love Cathy Lamb books – thanks to Shellyrae who shared a review of one of her books on Book’d Out, and totally hooked me into her books. Bloggers are influencers! I am reading this from the backlist of Kristin Hannah, it won’t be as heavy as her more recent ones and that’s totally okay. Another author I read anything she writes. I need a funny good feel book for my next read as that is a challenge book for this month. When I saw a review for this from Trish at Between My Lines , it sealed the choice. She says “It is loaded with laugh out loud moments that had my stomach in a knot.” Has to qualify don’t you think! Earlier in the year I enjoyed the audiobook Tides of Honour – a story about Danny and Audrey and WW1. When I started listening to this book Come From Away, I was delighted to find out that this one picks up the lives of their children and especially that of their daughter Grace. It’s a complete stand alone, however, seeing how life has moved on pleased this reader! Grace works in a local store in Nova Scotia, while her three brothers are away at war – world war 2. Her parents Danny and Audrey are there with her and also other various family members live by. One evening at a local dance some strangers come by, and Grace is attracted to one man who dances with her – then they are gone. Now off Nova Scotia there are German u-boats, so could these men have come from there? Some weeks later this stranger wanders into Grace’s store – Rudi is his name. Supposedly a trapper but is he? And so the story takes off. There is challenge and adventure, distrust and trust, and an evolving relationship with Rudi and the family and of course Grace. I loved the story of the family in Nova Scotia, and what happened to them as the war progressed. Depicted was the toll that war places on ordinary men, the demands made on them, and that underneath so many of them are men of honour and care. The story moves along at a good pace, the characters are ones that I could take into my heart and care about. The narrator was very good and brought this book alive. It’s been a little cooler here! I even put on some woollen socks on Saturday because I was feeling cold! And then on Saturday it was so cold I lit a fire, and I wasn’t the only one! Autumn has arrived for us. And we ended daylight saving, which as you know sort of knocks you around for a little while. This week I watched three movies – which I hardly ever do – all old ones but I enjoyed them nevertheless. The Enchanted April. The Descendants and Moana. And picked up from TBR from books bought at book fair year few years ago. From the Rose Harbor series. I am always drawn to a book with the words library or book or bookshop in its title. Books on the cover also help. So even though I’d never come across a Phaedra Patrick book before, The Library of Lost and Found was a book that I knew had my name on it! When Martha finds a book on the doorstep of the library, it leads her to question the belief she has that her grandmother is dead. The book appears to be stories that her grandmother Zelda and Martha told when Martha was a child. But she died when Martha was thirteen – or did she? As we track down the mystery with Martha we learn about her life at home as a youngster, the little stories she told, interspersed with the main text give us insight into what kind of home life she had. No wonder Martha is like she is. But her inner spirit is quite different and slowly it emerges and the real Martha steps out. I enjoyed the cameo minor characters, the unravelling of the mystery, the book references of course, and of the main characters finally returning “home”. And yes I ended up really liking Martha and being very hopeful for her future. I think I am doing quite well, 8 out of 30 audiobooks is a good place to be. I have the Modern Mrs Darcy challenge well in hand, I was good with library books but slipped up on a few because they needed to be returned before I made space to read them. This ended up more difficult to choose than I thought as I most of the books really spoke to me this month. By a small margin these are my top loves! Well I didn’t complete all my goals for March. I had 7 books to read for review – I read 4. I’ll read the other 3 sometime later. I did read the online book club books I was going to read. I was going to start an ongoing long book ( I have two to choose from) but didn’t do that. 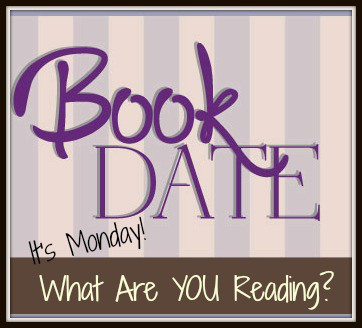 So one main goal – choose which long book I am going to read and put in some time each week reading it! I did get a few but they went back unread! In The Things I Cannot Say Kelly Rimmer as penned a very powerful dual time line story. In one time space we are taken to Poland in the early times of Nazi occupation during WW2 and to the story of Alina and Tomasz and their families. Those times were horrific and yet the bravery of these people stand out as they dealt with the terror. In the present we have Alice and Wade and their two children – one very intelligent and one who is on the autism spectrum. The stresses in the family are well depicted and felt very real. When Alice is asked by her grandmother to return to Poland to seek information about what happened back then and who is there now, it is a huge challenge for her. The dual time lines worked well. While I am not a huge fan of dual time lines, I have to admit the way the details were spread throughout the story was very effective. I was sucked into both stories – one shocking and so hard to read, one “easier” but with its own difficulties. And always such love. Its very emotional and tissues were needed! I came to love and admire all the characters and to be in awe of the story telling power of Kelly Rimmer.